Join us for an evening of dining, conversation and fun! A vast array of companies serving the needs of HR departments (educational institutions, insurance providers, legal experts, payroll services, consultants, and more). Management professionals, supervisors, team leaders, and business owners who have a responsibility for managing people and their organization's resources. Students majoring in business management, human resource management, or closely-related field. Registration deadline is Friday, March 23rd. Receive an Early Bird Discount of $10 per person if you register by March 16th! Cost includes continental breakfast, buffet lunch, afternoon snacks and beverages, access to the exhibitors, and door prizes. Celebrate SIU & Touch of Nature's involvement in establishing Special Olympics with Change the Game Day on Friday, April 6 at SIU Touch of Nature. Why: On April 6th, Prevent Child Abuse Illinois and the Illinois Department of Children and Family Services, in partnership with The Poshard Foundation for Abused Children and other community organizations, will be holding a press conference to launch April Child Abuse Prevention Month 2018. Guest speakers include Dr. Ronald K. House, President, John A. Logan College; Jo Poshard, Executive Director, The Poshard Foundation for Abused Children; Brittney Hale, Prevention Specialist, Prevent Child Abuse Illinois; Lori Gray, Southern Region Administrator, Illinois Department of Children and Family Services; Dr. Matt Buckman, Egyptian Health Department; and Brandon Zanotti, Williamson County State’s Attorney; The event will include resource tables provided by area agencies highlighting programs and resources for area families. Child Abuse Prevention Month has been observed each April since its first presidential proclamation in 1983. Since that time, millions of Americans have participated in this national campaign. Individuals, organizations and communities across the United States plant pinwheels, tie ribbons, organize trainings, host fundraisers, and support a multitude of other activities celebrating healthy, happy childhoods and raising awareness that all children deserve to grow up in nurturing, safe homes. Please join us April 6th to show your support for all children and their families. The following organizations and individuals were instrumental in planning this event: Prevent Child Abuse Illinois, Illinois Department of Children and Family Services, The Poshard Foundation for Abused Children, and Perry-Jackson Child Advocacy Center. To learn more about child abuse prevention, visit www.preventchildabuseillinois.org. Join us as we work to restore and expand Touch of Nature’s trail system! The Marion Chamber of Commerce will host the second 2018 Mastermind Group on Mondays from noon to 1:15 pm April 2-May 21 (8 weeks) at Heartland Regional Medical Center downstairs classrooms. Our Mission as Specialized Equine Services is to provide exceptional therapeutic services, through accredited and dedicated professionals and volunteers, improving the quality of life for those in Southern Illinois. 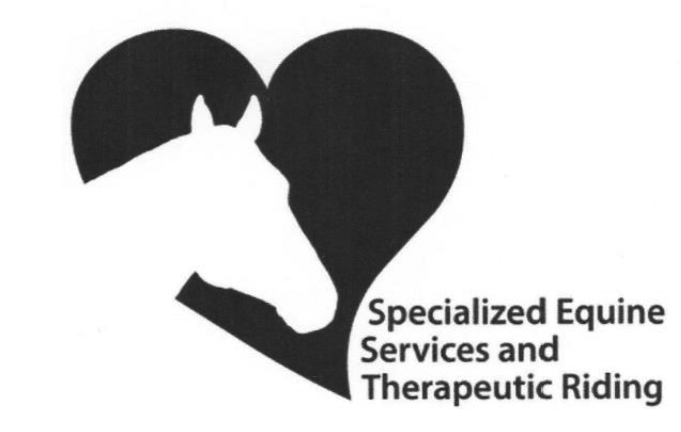 Specialized Equine Services (SES) uses the powerful healing energy of horses to help children and adults with psychological, neurological and physical conditions such as Down’s syndrome, MS, cerebral palsy, autism, brain injury, PTSD, stroke and cancer. Therapeutic Horseback Riding is a form of physical therapy for people who have a range of disabilities including physical, emotional, cognitive and social difficulties. Horses provide a tool for physical therapy, emotional growth and cognitive improvement in a unique format that is fun, exhilarating and holds the potential to change a person’s perspective on life! Giant City Stables has been providing horse assisted therapy since 1995. Our PATH Intl certified riding instructor works with clients one-on-one and in small group settings. Each rider is engaged through a combination of therapy, education and recreation tailored to meet their individual physical, cognitive and emotional needs. SES is a non-profit organization staffed primarily by volunteers. Financially, we rely heavily on the generosity of our sponsors, because fees cover only a small portion of the actual costs of our programs. Our annual “Sweethearts of the Saddle” Derby Day Gala is our main fund raiser. A fun evening in conjunction with the running of the Kentucky Derby. Coming up on Saturday, May 5th, 2018, at the Carbondale Civic Center, you are invited to come and watch the race, dress in your formal “derby attire”, have your picture taken with our “winning therapy horse”, participate in a live and silent auction, enjoy a great dinner by Great Boars of Fire, and dance to “We Got It Covered”. Tickets are $100 per person or $900 per table of 10. Make your reservation by calling 618-529-4110 by April 20th. All tickets must be purchased by 3/30. Call Gail at 681-1439 or 681-2407 for details. Exhibit courtesy of the Middle Tennessee Museum of Natural History ~ Ben E.
The Marion Chamber Membership Committee will meet on Tuesday, April 17 (always the third Tuesday of each month) at noon at the Chamber office. The Marion Chamber of Commerce Grad Spree Committee will meet on Wednesday, April 18 at 9 a.m. at the Chamber office. This free one-hour session will help you determine if government contracting is right for you and your business. Be aware there are road closures for paving and striping. Rend Lake Dam Road closure—please let people know about this if you haven’t already. People traveling from the east will need to alter their route. The record store formerly known as Joe’s Records will have a grand reopening event and sale Saturday, April 21. A groundbreaking ceremony for UrgentCare, 2804 East Outer Drive in Marion, will be held on Wednesday, April 25 at 12 p.m. The Marion Chamber Community Day Committee will meet on Friday, April 27 at 2 p.m. at the Chamber office. Girls World Expo is a very personal venture that grew out of what we saw in the lives of our daughters; too many negative influences and far too few positive. We saw vulnerable young women at a crucial stage in their lives whose self-images and self-esteem had to struggle against unflattering or unattainable media portrayals of perfection, lack of visible high achieving female role models and hurtful comments and criticism from peers. The negative impact of much of this was amplified by the prevalence of social media as a means of communication. We wanted more – for our daughters, for us, and for everyone. Each of these girls’ lives has the potential for greatness. Realizing that potential, however, requires that we offer girls something more than what has been available.